Gwynevere is a character in Dark Souls. She is the Princess of Sunlight and daughter of Lord Gwyn. She gives the Lordvessel to the player and allows him to join the Princess' Guard Covenant. The Gwynevere you see in game is an illusion created by Gwyndolin in order to manipulate the player. Gwynevere is located in Anor Londo, guarded by Ornstein and Smough. Gwynevere only drops the Lordvessel if it was not already given to the player. If the player attacks Gwynevere, Anor Londo will darken as the illusion created by her younger brother fades. All the enemies, except the painting guardians and the Silver Knights, as well as any illusions will disappear. However, The NPCs (the Fire Keeper and the Giant Blacksmith) will remain there. Although Gwynevere herself exists, she left Anor Londo long before the Chosen Undead came to Lordran along with other deities. After Anor Londo darkens, you will be constantly invaded by members of the Darkmoon Covenant, as long as you're in human form and online. Like every areas, killing available bosses (Gwyndolin) will stop invasions. Also the Firekeeper of the first bonfire in Anor Londo becomes hostile, and will move near to the rotating tower as well as two knights, a Balder Knight among with a Berenike Knight, will appear in the great corridor where the two giants were, right before Ornstein and Smough fogwall. Finally, if the player dies in Dark Anor Londo, they will always respawn at the first bonfire, even if it's unlit. Using a homeward bone will not warp to another bonfire. This is why the player should not kill the firekeeper as long as Gwyndolin is alive, because he will be able to warp from this bonfire. Killing Gwynevere will be considered as a permanent sin in PvE. The Balder and Berenike Knights used to respawn and could be farmed for souls. After patch 1.06 they will no longer respawn after being killed. It is posible to steal at least 3 humanity from these using Dark Hand. Why is she so giant compared to her family gwyn, gwyndolin and the nameless king? "Dark souls rewards the player a sense of accomplishment" Me after beating ornstein and big smough then meeting gwynevere for the first time: You don&apos;t say..
She is a character in Dark Souls. I know she is an illusion, but... How the hell would anyone that size fit through a human-sized Doorway!? I wonder.... is that REALLY what Gywnevere looks like, or is that illusionary image that Gywndolin just made from scratch just to add a false sense of grandeur to any undead that do manage to get to Anor Londo? 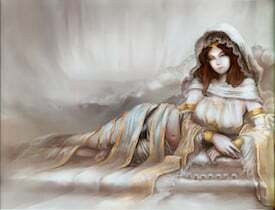 Now I wonder how the pretty the real Gywnevere really is.... no doubt she is very pretty in person, but I doubt the real Gwynevere is actually built like that Illusion, and hell.... for all we know, Gywnevere might of been a very modest woman. It&apos;s strange to me that she calls herself "Queen of Sunlight" when talking to her. Perhaps it was meant to hint that she is an illusion. Like Gwyndolin got it a bit off. Or he may have done it purposefully to make her seem more important. In order to raise success with his own endeavours. guy:don&apos;t kill Gwynevere:hey me look chest! !